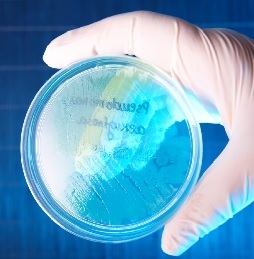 Obtain accurate, reliable MIC results for Pseudomonas spp. Acinetobacter spp. and other non-fermenters with the MICRONAUT-S Pseudomonas2 broth microdilution plate. ​EUCAST has advised that only broth microdilution should be used to obtain Colistin M.I.C. data. Supplied in packs of 100 with minimum 12 month shelf life. ​The Cystic Fibrosis plate gives MIC's to 10 individual antibiotic (including Colistin) and 14 combinations of antibiotics including Colistin/Ciprofloxacin. Supplied in packs of 40 with minimum 12 month shelf life.